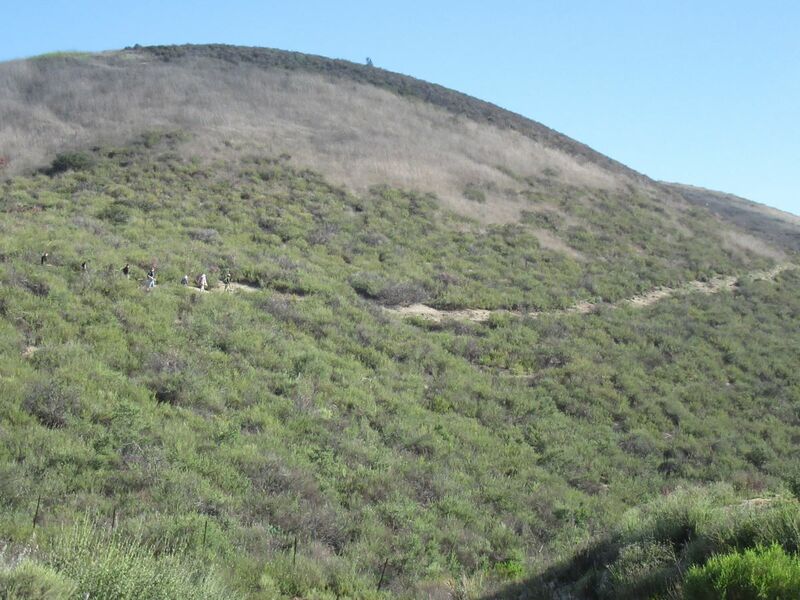 The COSCA system includes more than151 miles of trails, and we’re making that number larger every year! 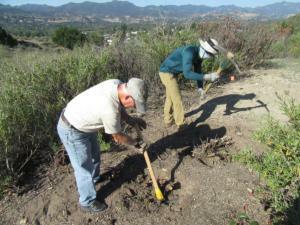 During the Fall and Spring Trail Work Days, volunteers come out to help build new trails for everyone to enjoy. Sometimes we instead go out to repair trails that were damaged during severe winter weather. 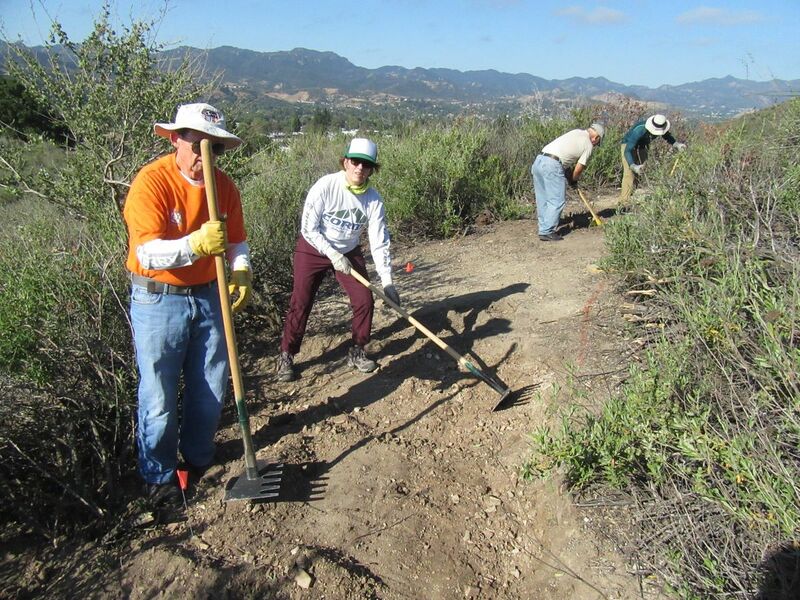 Groups including local businesses volunteer their time to help the trails as a way to give back to the community. 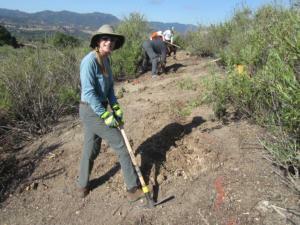 Our trail building and restoration activities rely on volunteers to help out. 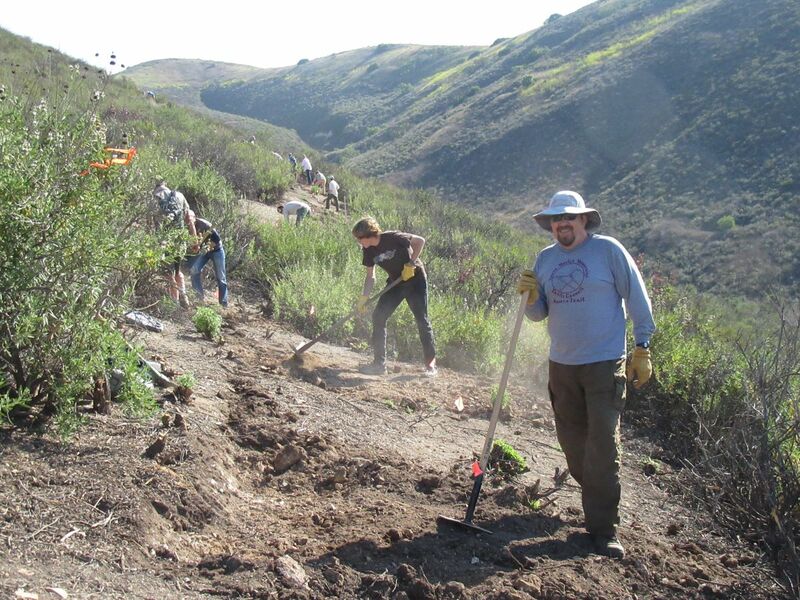 If you would like to see more and better trails, we hope you’ll want to pitch in! Forty-five to 50 volunteers turned out to help restore several hundred yards of the Hawk Canyon Trail in the Conejo Canyons/Western Plateau open space areas on Saturday March 16th for the annual COSCA Spring Trail Work Day. The area had been burned by the Hill Fire in November, then inundated by heavy winter rains. We worked on the north-eastern half, the newest section that was built in 2017 during the Spring Trail Work Day. 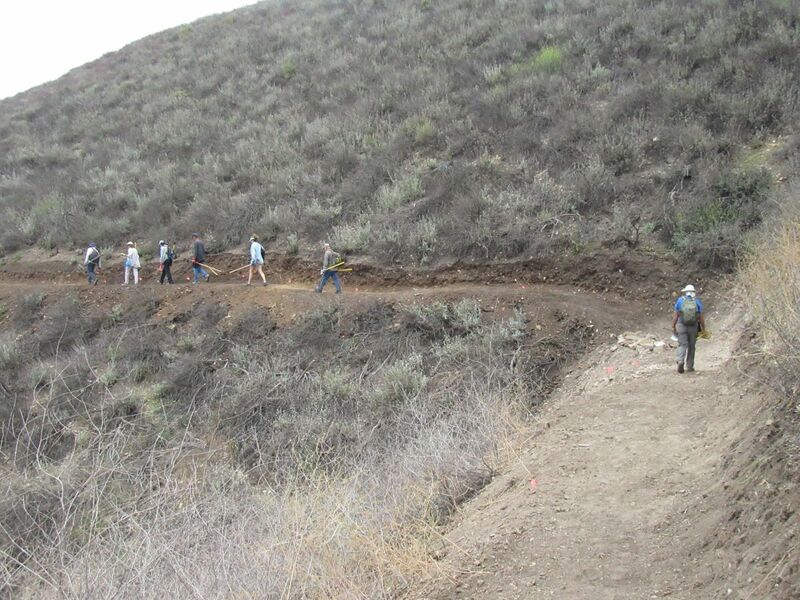 The primary focus of the work was to move the trail slightly uphill, further from the flood plane where it had been buried by mudflows. 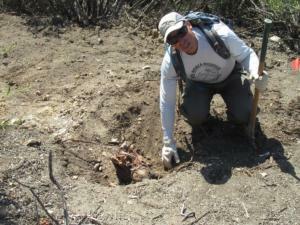 Because of all the rain, the soil was quite soft and quite easy to dig out and pack down. This made the work easier than normal, but still there was a lot of dirt to move where the cross-slope was quite steep, and there was one section of about 20 feet that was covered by large rocks. 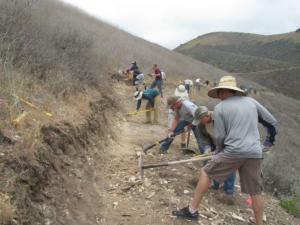 About a quarter of the volunteers worked a little further up the trail, clearing the heavy grass, mustard, thistle and other weeds that were choking off the trail. 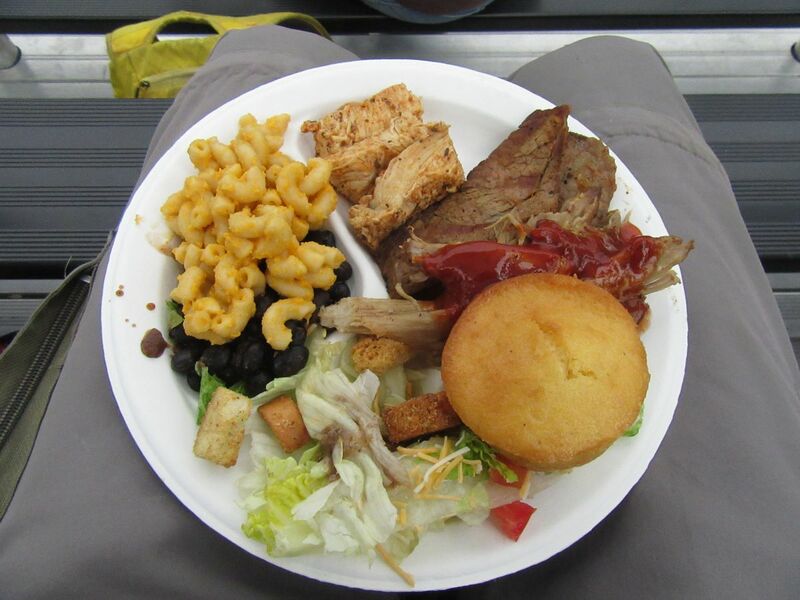 Everyone did such a great job that we got finished and back to the staging area for lunch before the expected time of noon. 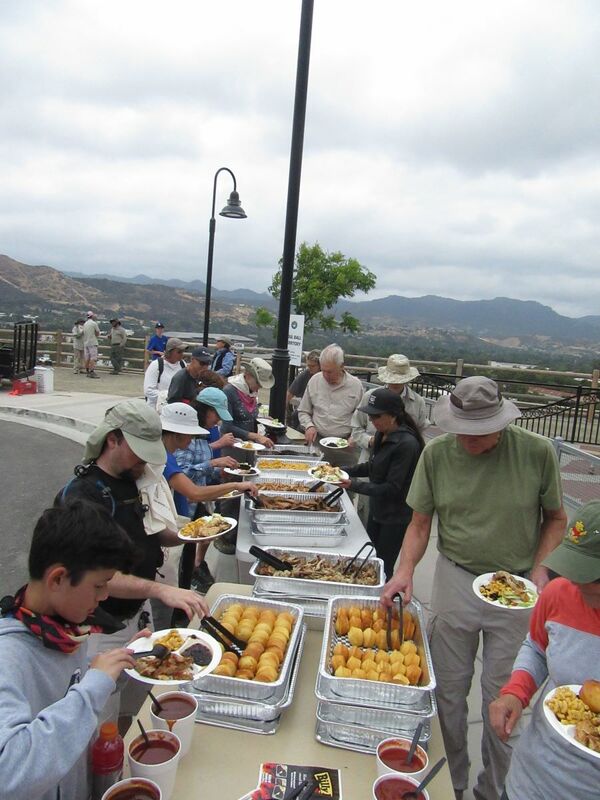 The event was a cooperative effort of the Conejo Open Space Conservation Agency (COSCA), the Conejo Open Space Action Committee (COSTAC), the Conejo Open Space Foundation (COSF – provided the thank-you lunch and snacks), the Santa Monica Mountains Trails Council trail crew, the Concerned Off-Road Bicyclists Association (CORBA) trail crew, and dozens of other volunteers. 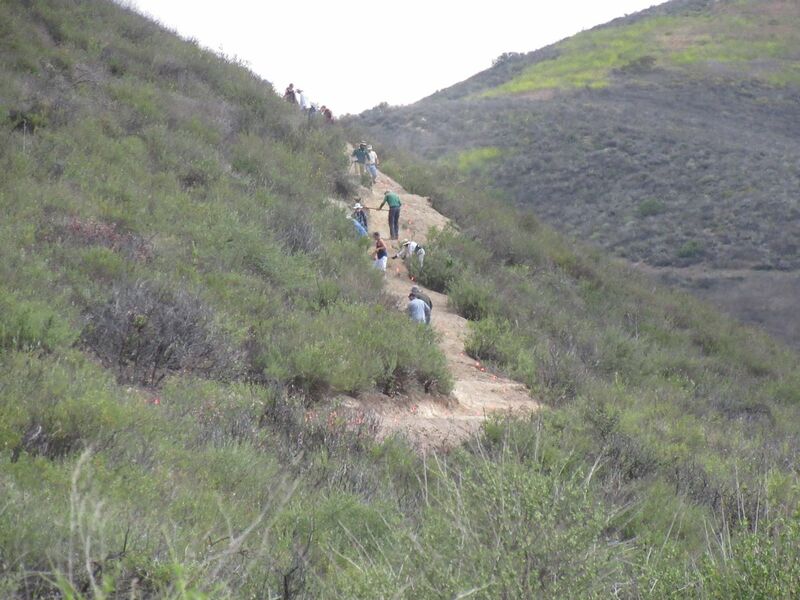 Thanks everyone for helping make the trails safer and more enjoyable for everyone! About 80 volunteers came out to help build a new trail that leads from Westlake Village Community Park and YMCA to the Saddle Pass Trail. 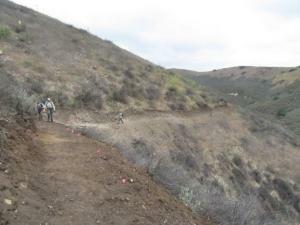 This trail is east of the trail we’ve previously been building and will complete a loop between the community park and Saddle Pass. 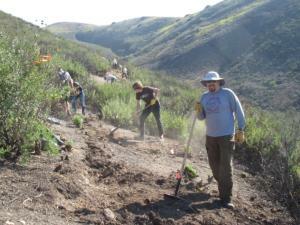 Over 3½ hours, the volunteers built about a half mile of new trail. 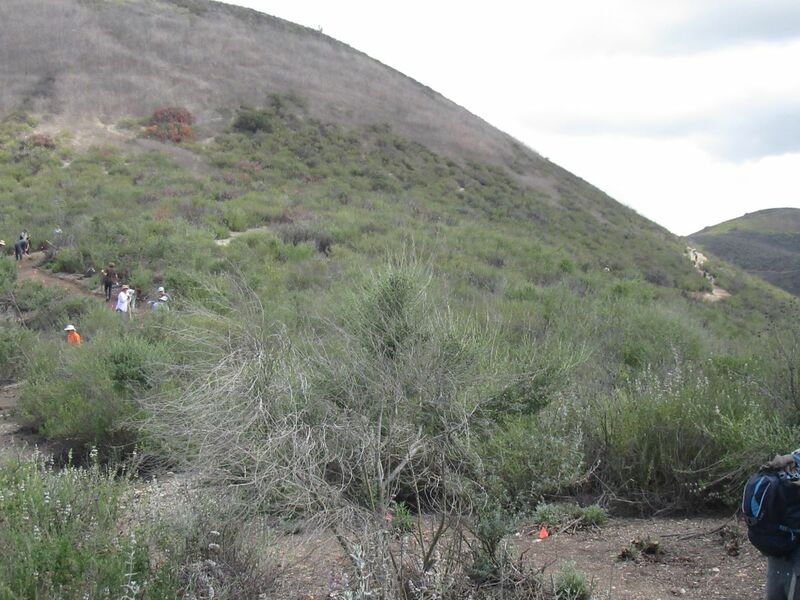 It crosses a very steep hillside, requiring the removal of tons of dirt. Everybody did an amazing job and the new trail looks great! 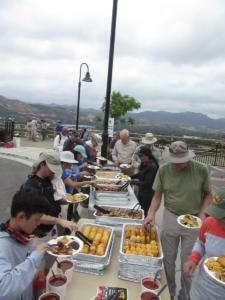 By noon, everybody was back at the staging area for a taco lunch and prize giveaway. Thanks to everybody who helped out! 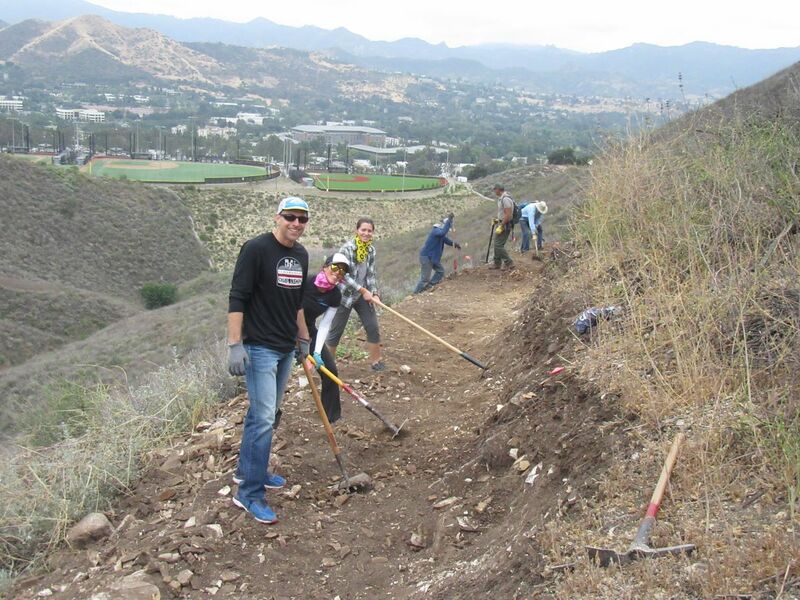 Seventeen Pepperdine University students, part of their annual Step Forward Day of volunteerism, were bused to the new Westlake Village YMCA and Community Park to help with the construction of the connector trail up to the Saddle Pass Trail. The volunteers, all young women, hiked the half mile to the work site and got to work to extend the partially completed trail. Unfortunately, this was one of the hottest days of the year and there was no shade on the trail, so we headed back to the parking area early to wait in the shade for the bus to pick them up. The temperature was 99 degrees in the parking area when we left. 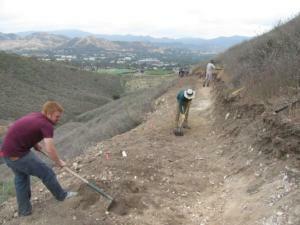 Despite the shortened work day, the students said they learned a lot about what’s involved in constructing trails, and they did a great job! Thanks to the Pepperdine students for helping out! Here are some photos for their work. Spring Trail Work Day, Saturday June 16, 2018. 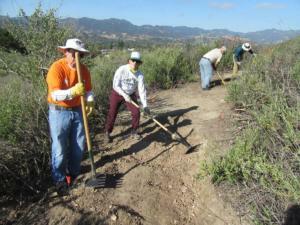 About 70 volunteers helped extend by 0.4 miles the new trail from the Westlake Village Community Park and YMCA to the Saddle Pass Trail. This section was much more challenging to build than the lower section we built the previous month because the cross-slope was much steeper, requiring much more dirt to be dug out. You can view more photos of this work day, and the full trailwork report. 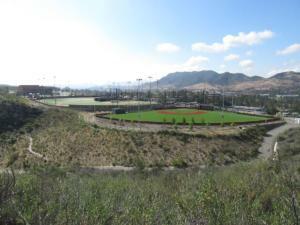 Starting on the new trail from the Westlake YMCA to Saddle Pass. 37 volunteers completed 0.4 miles of the 1.3 mile-long trail. 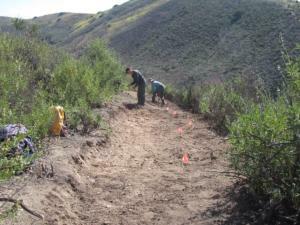 View the complete Photo Gallery and the Trailwork report.